When it comes to building relationships with clients, Meryl Kramer Architect has it down pat. They understand their clients’ lifestyles, needs and wishlists to ensure good architecture and good homes. Meryl Kramer specializes in architectural residential design, only focusing on a small number of projects at a time. Each client receives full attention which allows the firm to produce their high-quality projects. 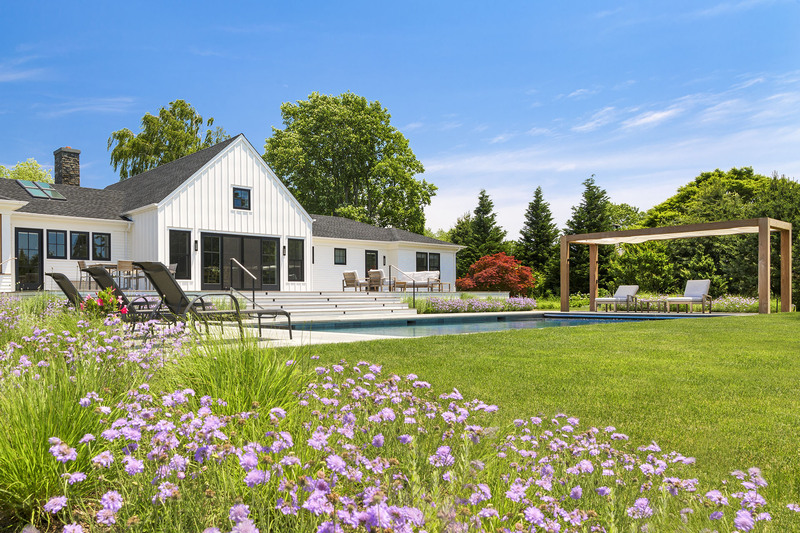 This ranch-style house had additions and remodels seamlessly blended into the existing footprint. Flowing effortlessly from the indoors, the outdoor area transformed into a tranquil entertaining space. 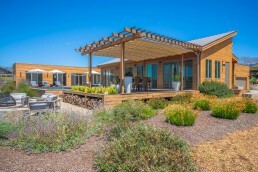 Utilizing the landscape, the design incorporated a large pool, raised deck and custom pergola for poolside shade. In order to soften the hardline design, fabric is added to the poolside structure. ShadeFX manufactured an 18’ x 8’ retractable shade for the custom wood structure. 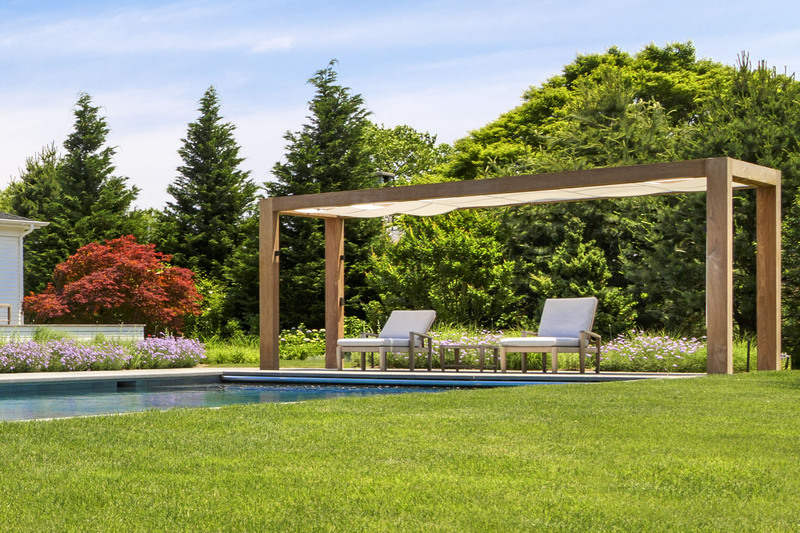 Opting for a rope drive, the Sunbrella White fabric provides the perfect shade when lounging by the pool. During the day, the homeowners can extend the shade for protection from the glaring sun. At night, they can retract it for a romantic evening under the shining stars. Pairing the exterior with royal floral accents and a sparkling pool instantly makes for an inviting space. In particular, the custom pergola paired with a retractable shade protect the best seats in the house. Whether you own a mid-century modern, craftsman or a ranch-style house, ShadeFX has multiple solutions to complement your existing space. We can help. Working alongside Meryl Kramer Architect, ShadeFX customized an 18’ x 8’ retractable shade. 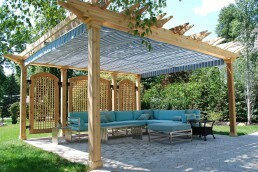 The rope operated Sunbrella White fabric pairs perfectly with the wood structure protecting the best seats in the yard.